Who were each of these figures and why did they travel? To what extent do the accounts of their travels offer insights into the worlds of the thirteenth, fourteenth and fifteenth centuries? What is most surprising and most interesting about the experiences, writings, and/or legacies of Marco Polo, Ibn Battuta and Zheng He? "The Man Who Walked Across The World," BBC, 2007: Tim Mackintosh-Smith's epic re-tracing of the great 14th-century Moroccan traveler's journeys. Douglas Bullis, "The Longest Hajj: The Journey Of Ibn Battuta," Saudi Aramco World (July/August 2000): A superb three-part overview of Battuta's Travels. See below for links to the different sections of the article. "Making Marco Polo," Ideas, CBC, May 30, 2016. "Another World," Marco Polo: A Very Modern Journey, Al Jazeera, September 1, 2014. "Lost World," Marco Polo: A Very Modern Journey, Al Jazeera, September 5, 2014. 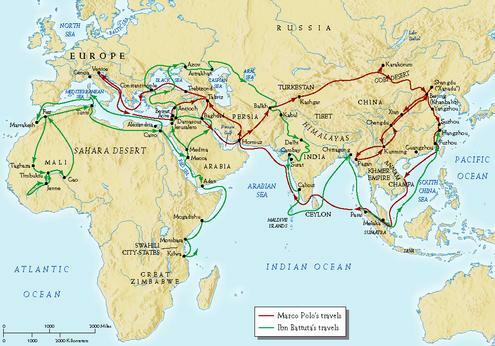 "The New World," Marco Polo: A Very Modern Journey, Al Jazeera, September 12, 2014. "The Ming Voyages," In Our Times, BBC Radio 4, October 13, 2011: A 45-minute audio documentary that explores the legacies of Zheng He's voyages. Joseph Kahn, "Letter From Asia: China Has An Ancient Mariner To Tell You About," New York Times, July 20, 2005. Tim Luard, "China Hails Legacy Of Great Adventurer," BBC News, May 30, 2005. Marco Polo -- Wikipedia: An entry from the on-line encyclopedia. Marco Polo (c. 1254-1324), Historic Figures: A very brief overview from BBC History. The Marco Polo Odyssey: An on-line feature from National Geographic. 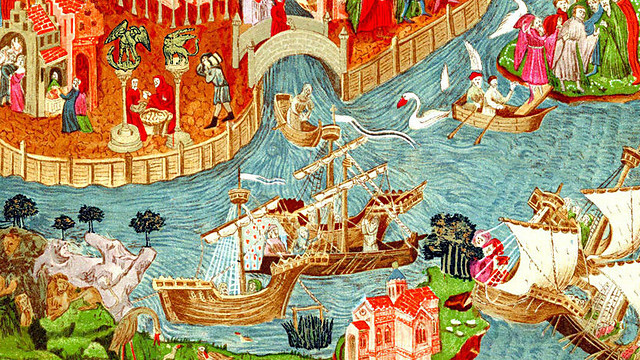 Marco Polo And His Travels: A short biography from the Silk Road Foundation. 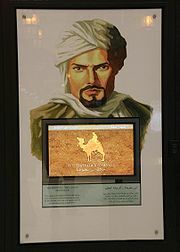 Ibn Battuta -- Wikipedia: An entry from the on-line encyclopedia. Ibn Battuta (1304-1378? ): A brief biography from a school-related site. 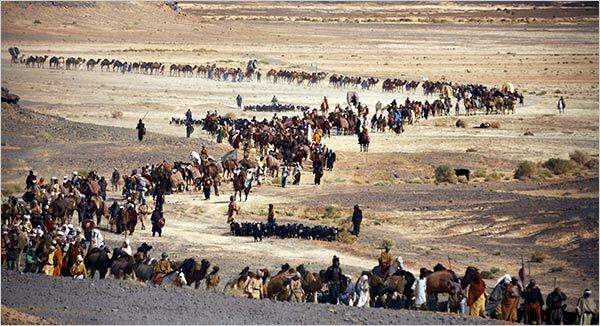 Journey To Mecca -- In The Footsteps Of Ibn Battuta: The companion web-site for a 2008 documentary. Zheng He -- Wikipedia: An entry from the on-line encyclopedia. International Zheng He Society: A Singapore-based organization dedicated to the commemoration of the admiral's exploits. Medieval Sourcebook, Ibn Battuta -- Travels In Asia And Africa, 1325-1354: A small sampling of Battuta's original travel writing. "Mystery Of Island Visited By 15th Century Chinese Explorer Zheng He Now Saved," Ancient Origins, April 9, 2015. David Jacoby, "Marco Polo, His Close Relatives And His Travel Account: Some New Insights," Mediterranean Historical Review, 21 (December 2006): 193-218. Mike Edwards, "The Adventures Of Marco Polo," National Geographic, 199 (May 2001). Mike Edwards, "Marco Polo In China, Part II," National Geographic, 199 (June 2001). Mike Edwards, "Marco Polo, Part III, Journey Home," National Geographic, 200 (July 2001). 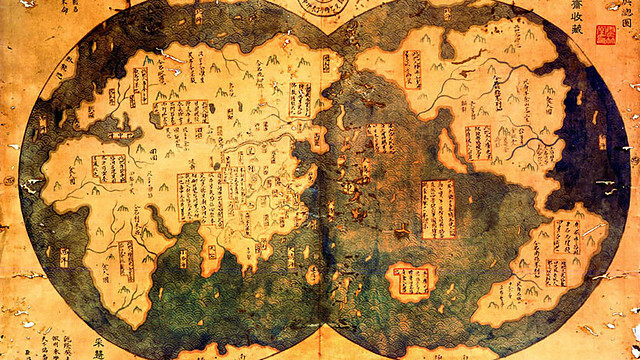 Marco Polo's Asia: An essay written by Macalester College undergraduate John Hubbard for a 1994 course on Chinese History. Robert Finlay, "The Voyages Of Zheng He: Ideology, State Power, And Maritime Trade In Ming China," Journal Of The Historical Society, 8 (September 2008): 327-47. Frank Viviano, "China's Great Armada," National Geographic, 208 (July 2005): 28-53. 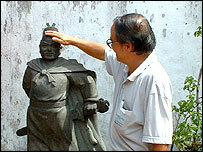 Caroline Hsu, "The Chinese Columbus?," U.S. News and World Report, 136 (February 23, 2004): 56-60. Evan Hadington, "Ancient Chinese Explorers," Nova (January 16, 2001). Daniel Hahan, "Xanadu: Marco Polo And Europe's Discovery Of The East By John Man," Guardian, October 31, 2009. Kevin Rushby, "Polo Reminted," Guardian, January 26, 2008. Bruce Barcott, "Once Upon A Time In China," New York Times, December 2, 2007. Jonathan Spence, "Go East, Young Man," New York Times, December 12, 1999. Doreen Carvajal, "Marco Polo: Is A Rivalry Just Fiction?," New York Times, December 9, 1997. Jonathan Spence, "Leaky Boat To China," New York Times, October 19, 1997. Khulekani Madlela, "Tim Mackintosh-Smith Obsessed With Ibn Battuta," Gulf News, April 20, 2012. "Google Doodle Goes On A Journey With Ibn Battuta," News 18, February 25, 2012. Donald G. McNeil, Jr., "The Long, Dusty Trek Toward Tolerance," New York Times, February 13, 2009. James Buchan, "Even To The Borders Of China," Guardian, December 21, 2002. "Ancient Shipyward Used By Admiral Zheng He May Lie Beneath Construction Site," Archaeology News Network, May 21, 2015. R. S. N. Murali, "Zheng He 'Returns' To Malacca," Kuala Lumpur Star, January 30, 2013. 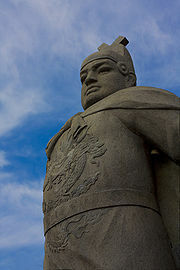 Zoe Murphy, "Zheng He: Symbol Of China's 'Peaceful Rise,'" BBC News, July 28, 2010. "Chinese Search For Ming Shipwreck Of Kenyan Coast," BBC News, July 26, 2010. Tania Branigan, "Zheng He: Messenger Of Peace, Or Of Power?," Guardian, July 25, 2010. Xan Rice, "Chinese Archaeologists' African Quest For Sunken Ship Of Ming Admiral," Guardian, July 25, 2010. 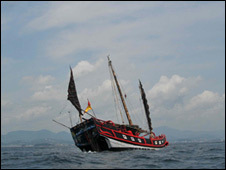 "Ming Dynasty Replica Junk Sinks," BBC News, April 27, 2009. Joseph Kahn, "Who Discovered America? Zheng Who?," New York Times, January 17, 2006. "China Map Lays Claim To Americas," BBC News, January 13, 2006. Sheila Melvin, "'Greatest Sailor' On Exhibit In China," New York Times, August 18, 2005. Phillip Bowring, "China's Growing Might And The Spirit Of Zheng He," New York Times, August 2, 2005. "Chinese Columbus," NPR, November 2002. Elizabeth Grice, "Explorer From China Who 'Beat Columbus To America,'" Telegraph, March 4, 2002: A review of Menzies's 1421. Craig G. Smith, "The Armada's Gone, Leaving A Savory Memory," New York Times, June 6, 2001. Nicholas D. Kristof, "1492: The Prequel," New York Times, June 6, 1999. 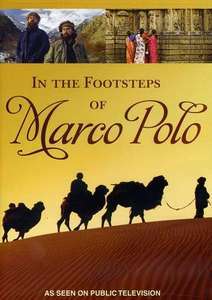 "In The Footsteps Of Marco Polo," PBS: Two film-makers follow Marco Polo from Venice to China. 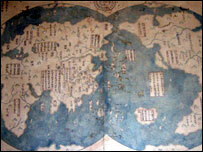 "Marco Polo," In Our Time, BBC Radio 4, May 24, 2012. "Great Voyages: Travelers's Tips From The 14th Century: The Detours Of Ibn Battuta," Penn Museum, December 13, 2013. "China's Forgotten Admiral," BBC World Service, February 4, 2010.